Unfortunately, there is ugly in trucking just as there is ugly in every other work place. Shippers and receivers usually could care less about the drivers never ending rush to get loaded or unload as fast as possible. Sometimes, they even try to get free labor out of us. Sometimes our very own company treats us as if we are robots behind the wheel. Some companies won't even route drivers through the house as though they think we are too stupid to know they do have freight going through there. Managers, dispatchers and brokers give us bad information and let the drivers do research for the correct information to make the delivery. (as if we don't have enough to do!lol) When we call in to give the dispatcher correct info they don't put it in the system. Instead, they will give the next driver the same incorrect info. The cycle continues. We often work long hours, many uncompensated. If not for creative time management many drivers wouldn't get a decent paycheck. Everyone on every level in the industry knows hows about this slight conflict of interest exists but there is a lack of unity and political will to do anything about it. So the D.O.T. and the rest of the industry pretends to address safety issues by increasing enforcement on drivers when really the most effective thing to do would be to force shippers and receivers to stop abusing our time. Pay the trucking company after holding up the truck for a certain amount of time and then force the trucking company to properly compensate the driver for his/her time. You would decrease the need for underpaid drivers to run illegal to get miles to make up for all the idle time wasted delivering and picking up. It's that simple. A lot of drivers must choose to either run 100% legal and starve as a Over The Road Trucker or figure out ways to get the job they are assigned done with asking questions. Everyone would win if this was done. If you really want to increase safety on the highways, improved compliance with regulations, and higher quality trucking companies, correcting this one huge problem in the trucking industry (since shippers and receivers won't work together better) will produce the results that you desire. Also by default in the long run will save both the manufacturers and trucking companies money by having dependable appointment windows and less overhead from uncertainty and abuse of each other's resources caused by delay. It's just that they are to self centered to see the big picture about how treating each other better without on their own would also benefits each of them. Since they won't do it, make them do it with careful legislation for fair and reasonable use of service BUT DO NOT LEAVE THE DRIVER OUT. Note to drivers: Well, there is no one to point a finger at on this one. We have choices. You can be proactive and have the food you need with you to serve your purpose. We are being made to eat junk food just because it is there. Everywhere you look there are signs about heatlhy options and information about exercise so there is no excuse for remaining in denial. We have to decide that we want to achieve better health and quality of life and maintain that which can be done in a truck. Ugly could easily describe the way the media portrays us when reporting about incidents or accidents. They will usually imply that accidents were the trucker's fault when there is no fault found or when fault is questionable. Most of the time fault is with four wheelers and the trucker is blamed on a technicality (Logbook says he's wasn't supposed to be there and if he wasn't the four wheeler wouldn't have cut in front of him. What!?!). Because it is more sensational for media to report truck accidents rather than car accidents a lot of people think truckers wreck more often and are the cause of most accidents when in actually we are the safest drivers on the road. Should only take a little common sense to figure that out but don't wait on it being discovered by the average citizen or reported that way by the media. Most truck accident lawyers know this too but they also know that they can sue trucking companies and drivers and get money, which is why they take these cases. They could care less about fairness, it's about money and winning. They also know about the scenario that I spoke of with the companies who manipulate drivers to run with creative log books, so this use this knowledge to their advantage for winning the cases. Another reason drivers, that you should run legal. Yes, this sometimes leads to an ugly situation. More often than any of us would like but probably not as often as you might think. Driver fatigue occurs and is a contributing factor to accidents but not all of them. As was stated truckers are not even at fault in most accidents involving trucks, remember that. Because that does also mean that we need to be completely alert to notice what other drivers are doing. Ever heard of defensive driving? ooohhhhh yeaahhh! The ugliest thing in trucking may be the stereotypical image that the general public has of the American truck driver. Too many people get caught in the hype of Hollywood movies. They think we all are hillbilly rednecks who spend our days looking for lot lizards, racing each other up and down the highway, trying to outrun the police, and talking trash on the CB radio. A fraction of those actions occur by a fraction of the 3 million plus drivers on the road. Just as with any other work group, there are those who aren't quite up to the standards desired. Plus 10% of 3,000,000 is still 300,000 drivers so that is enough to keep a stereotypical image in living color easily. However, if all of us acted like that, the highways would be chaos, no trucker marriages would lasts. Plus, we couldn't make it a week out here trying to maintain what our stereotypical image would suggest that we are all like! LOL. So you people reading this to educate yourself, thanks for reading it, I commend you highly, but make sure you let those words marinate in your mind. Reprogram those hardwired negative thoughts. Now here is another level of how ugly thoughts of truckers affect drivers. How hard is if for the spouse at home to trust the driver over the road 1,000's of miles away when the world thinks the worse of her/his trucker? Suppose her friends are spewing that negativity at her on occasion or more frequently. "Girl, you know what he doing out there" "Girl you know all truckers blah blah blah..." See what I mean. We can't even have a decent relationship because of ignorance. Yep, Ugly is everywhere in the trucking industry! Having said that, ugly is everywhere in your life right now. Look around you. . . you are just used to it and don't think about it. These things are a part of life. There will always be ugly or the perception of ugly, It doesn't matter which is true in this regard. You look past and see how you can contribute to positive change either way. Any glass half empty is also a glass half full. The choice is yours as to how you choose to view what life throws at you. The choice is up to you as to how you will respond. These complications and challenges is what makes life interesting. Not to mention, going through all phases but especially the challenges is where we grow and mature. The growth and maturity provides insight and wisdom. This includes knowledge about the inherit unfairness eventually to be experienced by us all in life. Prepare as best you can so that when you encounter these challenges of life you can maintain and keep moving forward. Never let the ugly deter you from the journey (Unless its deterring you from a journey to hell! LOL) Life is full of challenges and unfairness (ugliness) choose to navigate through these and do what you can to be an agent of change to correct things as you go. This alone helps you to rise above the impact of what you face. It's like a shield,that helps keeps you safe but it also protects the little space behind you. Although it won't keep you from feeling impact. It keep you from ultimately being destroyed. Carry your shield high and proud. Protect as much space as you can. There will be others who need it. They don't know to carry one. They are most vulnerable to the ugly in life. Never stop short of attempting to achieve your goals because you thing the path might be difficult or the journey takes you uphill. I can tell you right now the path will be difficult, so what, get over it. Pay attention and learn from your mistakes and the mistakes of others and keep it moving. Use what you can as lessons and motivators to move forward and don't look back! Unless your looking back and reflecting to gain more wisdom from the past as part of your game plan for moving forward. In spite of the ugly in life, (even in the worst of times) keep your faith in being blessed, because you are. Remain calm and kind (to the extent that it is not counter productive, lol), and be a beacon of light to others who's shine is dim. Use your inner strength and positive traits to rise above the obstacles you encounter. If you have read this page, this far, I have no doubt about your ability to do all that I have suggested. You have the will to do better, to be better you want more out of life and you know that it must be fulfilled by your actions not the actions of others. Make your plans then make your move. It's worth everything you have to give to accomplish goals made with the right intentions. You will hear drivers complain about all the things that I just complained about earlier, because it does exist. It's nothing that will keep you from loving this job if you are the type of person this job is for. It's not as bad as it sounds since you now know what to expect. 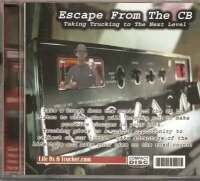 You can now protect yourself to a great extent against the ugly in trucking and the ugly in life. You now armed with knowledge. Some times bad truck drivers bring these situations on themselves with their attitudes or lack of standards. (If you read about bad truck drivers you will see what I mean. 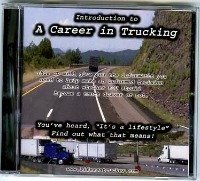 If you plan on being the best truck driver you can, (and best person you can) you will run into some of these things with a bad trucking company but a good truck driver can go to good companies after getting a little experience and embark upon a fulfilling and rewarding career. A good person will not have as much problem with relationships because he will nurture the relationship and make his wife feel like a Queen. She will tell her ignorant girlfriends to go fly a kite with that negativity because of the confidence in her man. We as drivers can step our game up so that we are respected and listened to. Then we can make some demands for change and actually be taken serious. Until then we will have unheard complaints so if you come out here, take pride in your job performance and being a trucker. Anyway, I have spoken about this enough. Remember this . . .
No matter if you decided to become a truck driver or flip BK burgers. Think positive and keep it moving, you can eventually have it your way. The Crazy Trucker told you that! Welcome to "Now That's Ugly!" Here is your chance to tell us your worst experience dealing with the trucking industry. what has happened to you that can be classified as ugly? Or what have you seen? You story might help someone out by giving the insight or a new perspective. Maybe it is light shed on the truth. Maybe it is important details that they needed to know. What ever it is we appreciate you taking the time. Do not lie or make up stories. It should be real account of a situation or incident.